A while ago we posted about changing the kitchen Langstroth hive over to a Warre, well we have now finished the conversion. 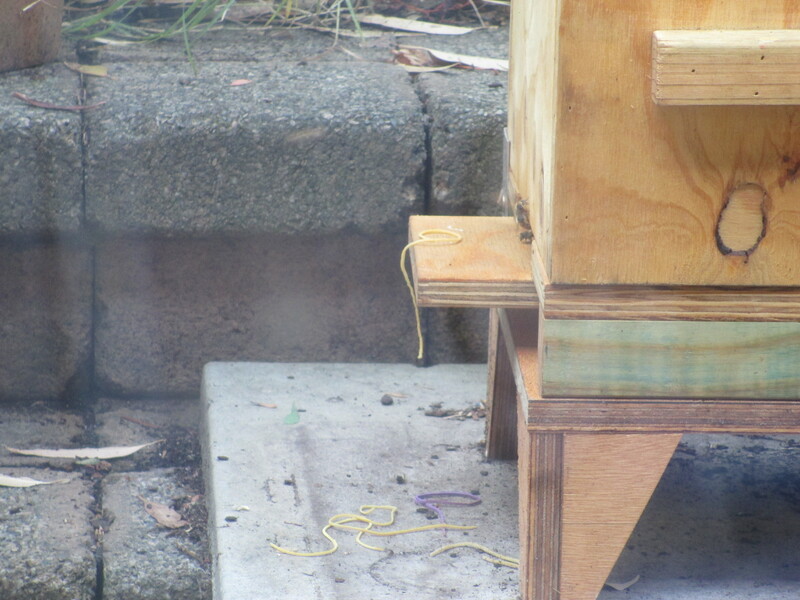 It took a little while because the brood were in Langstroth super, and we wanted to wait a while until the queen had moved down into a Warre super below…. well, she finally did and we felt we could remove the now superfluous Langstroth super. Because there was still some brood in the Langstroth however, we decided to cut it off the frames and attach it to some of the Warre frames- we really didn’t want to destroy what brood remained in there. So, with knife in hand, we cut out just the right size and using elastic bands placed the brood comb into the Warre frames. 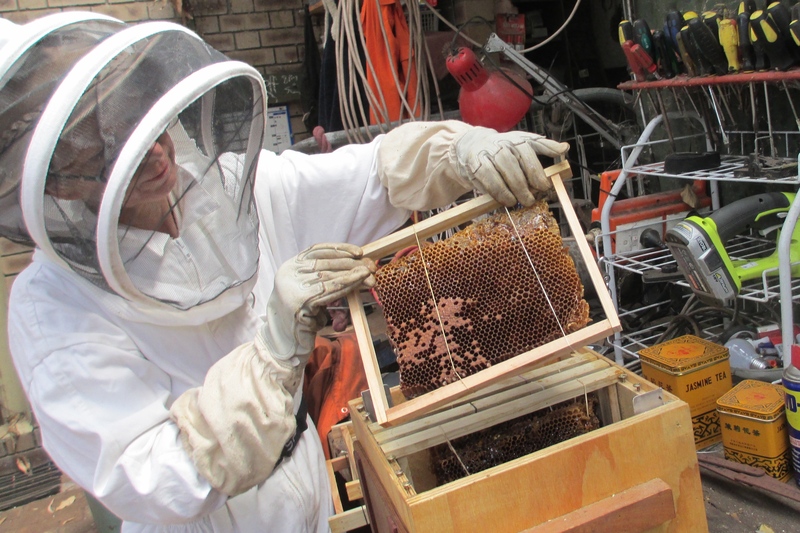 The final steps in the conversion went smoothly, and it wasn’t long before the bees got to work and secured the comb, removing the elastic bands from the hive! 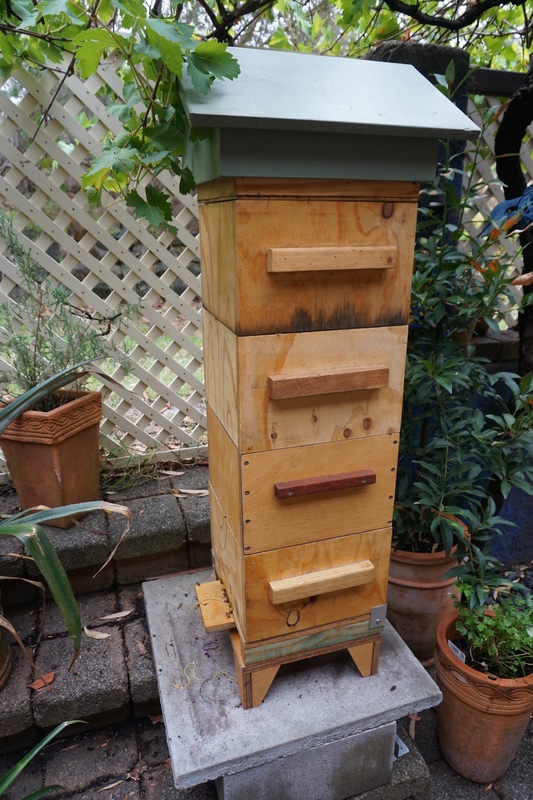 The Warre hive is now complete and looking healthy.